It doesn’t exactly qualify as eye candy, but the first image from the ESA-Roscosmos ExoMars spacecraft is beautiful to behold in its own way. For most of us, a picture like this would mean something went horribly wrong with our camera. But as the first image from the spacecraft, it tells us that the camera and its pointing system are functioning properly. 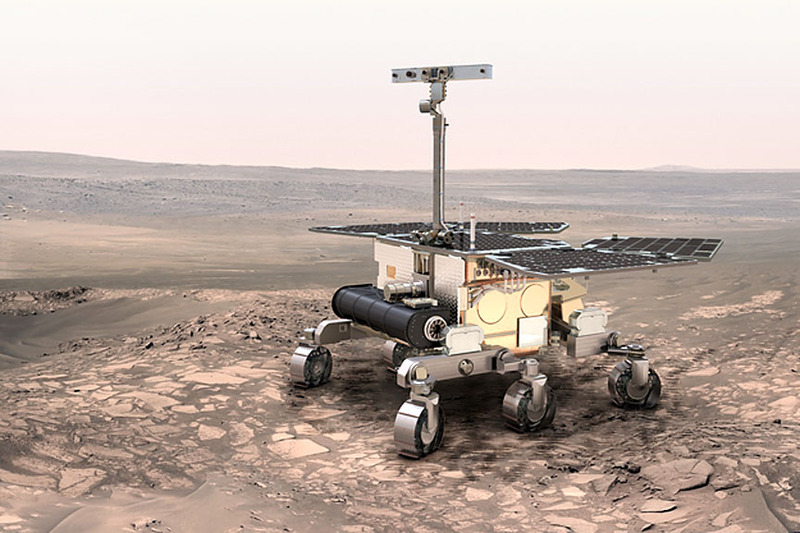 ExoMars is a joint project between the European Space Agency and Roscosmos, the Russian Federal Space Agency. It’s an ambitious project, and consists of 2 separate launches. On March 14, 2016, the first launch took place, consisting of the Trace Gas Orbiter (TGO) and the stationary test lander called Schiaparelli, which will be delivered by the Martian surface by the TGO. TGO will investigate methane sources on Mars, and act as a communications satellite for the lander. The test lander is trying out new landing technologies, which will help with the second launch, in 2020, when a mobile rover will be launched and landed on the Martian surface. 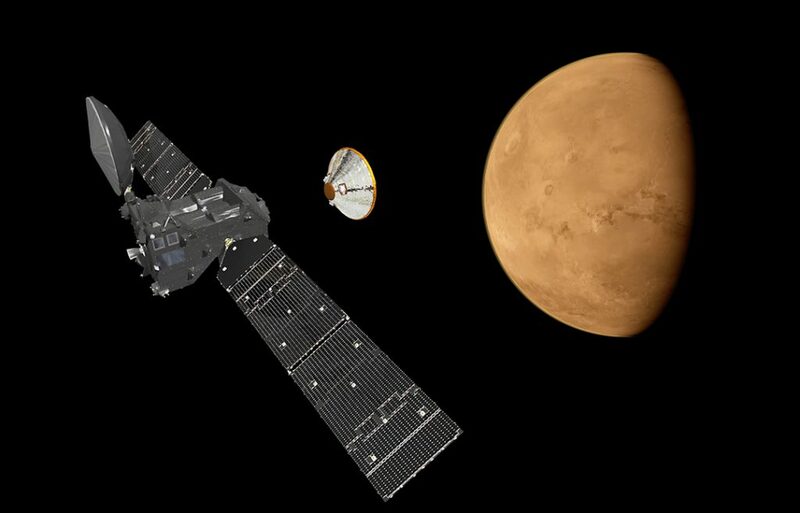 So far, all systems are go on the ExoMars craft during its voyage. “All systems have been activated and checked out, including power, communications, startrackers, guidance and navigation, all payloads and Schiaparelli, while the flight control team have become more comfortable operating this new and sophisticated spacecraft,” says Peter Schmitz, ESA’s Spacecraft Operations Manager. Three days prior to reaching Mars, the Schiaparelli lander will separate from the TGO and begin its descent to the Martian surface. Though Schiaparelli is mostly designed to gather information about its descent and landing, it still will do some science. It has a small payload of instrument which will function for 2-8 days on the surface, studying the environment and returning the results to Earth. The TGO will perform its own set of maneuvers, inserting itself into an elliptical orbit around Mars and then spending a year aero-braking in the Martian atmosphere. After that, the TGO will settle into a circular orbit about 400 km above the surface of Mars. The TGO is hunting for methane, which is a chemical signature for life. It will also be studying the surface features of Mars.